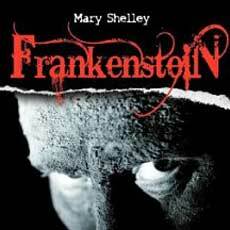 I have never been interested in reading "Frankenstein." I was swayed by the horror movies and the perception that the book was about a monster that walked through towns creating havoc, hurting people and ruining lots of things along the way. My son was assigned this book for a high school english class and I decided to read along with him. I'm really glad I did. This book has an extremely complex narrative form, but that doesn't make it difficult to understand. Not to give anything away….. we get to watch the "monster" development from an infant form with discussions about is first sensory perceptions, beginning to decipher first words to a complete language, and even on to reading. The "monster" listens to conversations between other families and he reads books that teach him about the the world (geography, history, family dynamics, friendship). Mary Shelley's descriptions of these processes are quite compelling. I know she had me thinking about these processes and I've had a lot of education and experience in these areas of development. I wonder if my son's classmates had any of the same thoughts.